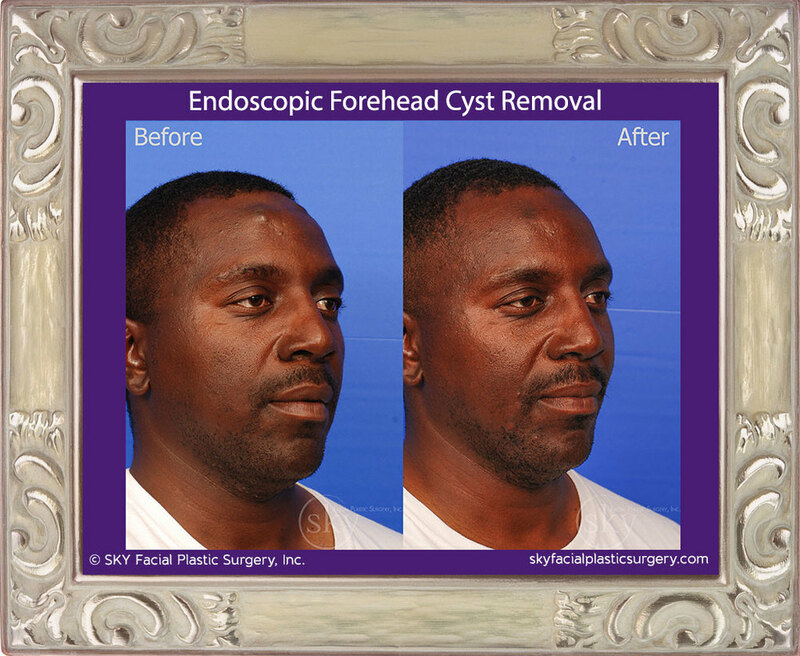 Many patients from all over the world seek out Dr. Yoo because of his expertise in "scarless" removal of forehead masses including lipomas and osteomas. 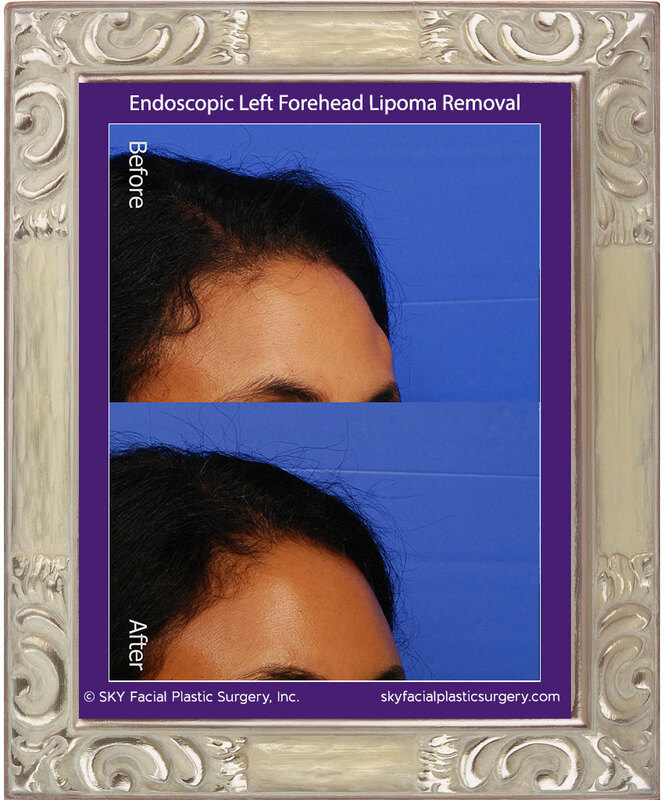 In select patients, small incisions can be placed behind the hairline and special instruments used to remove contour irregularities of the forehead. Out of town patients often take advantage of a virtual consult initially to determine if they are an appropriate candidate before making travel plans. Scarless technique to remove forehead lumps and bumps. Small endoscopic incisions were hidden behind the hair line to provide access for endoscopic instruments to shave down and contour the brow ridge.